A Tibetan teenage monk has become the 44th Tibetan to self-immolate since 2009, in response to the Chinese occupation of Tibet. An 18-year-old Tibetan monk set himself on fire in a monastery in China's Sichuan province, according to advocacy organizations and the Tibetan government in exile. The teenager, identified as Lobsan Lobzin, self-immolated, shouted slogans and attempted to march towards the local government's office in the town of Ngaba around noon Tuesday [17 July 2012], according to the Central Tibetan Administration (CTA), which functions as the government of Tibetans outside the Chinese territory. It was unclear what Lobzin shouted before he died, according to the Tibetan Centre for Human Rights and Democracy, a group based in India. Lobzin became the 44th Tibetan to self-immolate since 2009, according to the CTA. Self-immolation has become a common form of protest for Tibetans who want autonomy from China. The local police office and county government did not comment on the incident when contacted by CNN. The Ministry of Public Security also did not respond to CNN's request for information. After Lobzin's death, Chinese forces headed towards the monastery, but local Tibetans blocked a bridge to prevent the police from a possible confrontation, according to CTA and several Tibetan advocacy groups. Lobzin had been at the Tsodun Kirti Monastery in Barkham County since he was young, according to the group, Free Tibet. He was described as being "one of the best students" at the monastery. Earlier in March , two other monks from the same monastery set themselves on fire. 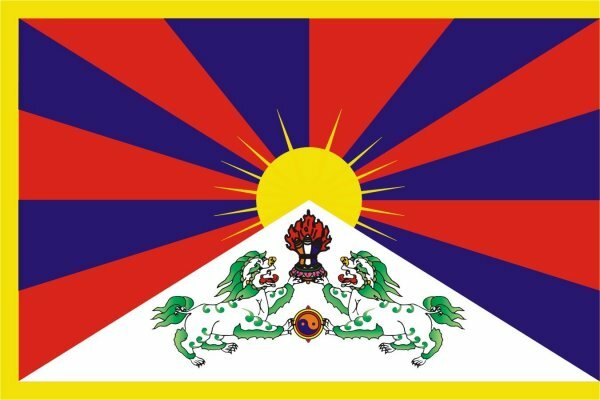 The group, Free Tibet, has described the self-immolations as "a fundamental rejection of China's occupation." The Dalai Lama has remained silent on the issue of self-immolations, refusing to answer questions earlier this year about whether monks should stop setting themselves on fire in protest. Costica Bradatan, an assistant professor in the Honors College at Texas Tech University, observed that the Tibetan self-immolators were young and even teens, "which indicates that the new generation of politically aware Tibetans might have lost patience with the Dalai Lama's nonviolent political philosophy. "In essence, these self-immolations are an extreme form of political self-expression. They are performed as part of a struggle for recognition, as an autonomous political community," he wrote in a CNN opinion piece. Bradatan noted that the self-immolation of a young Tunisian street vendor in 2010 sparked an uprising that spread throughout the Arab world, yet dozens of Tibetan self-immolations have yielded little political results.